GRAND BAHAMA, The Bahamas -- Minister of Education, the Hon. 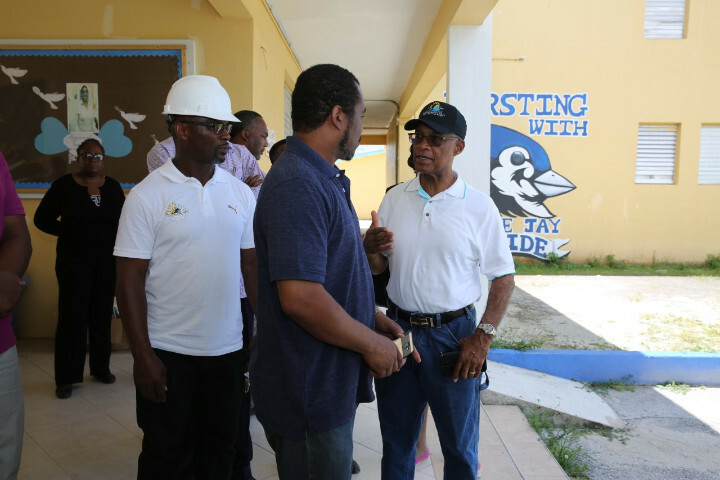 Jeffrey Lloyd visited Grand Bahama on Wednesday, August 15, 2018 to view the preparations taking place at schools on the island, as the date draws near for schools across the country to re-open. 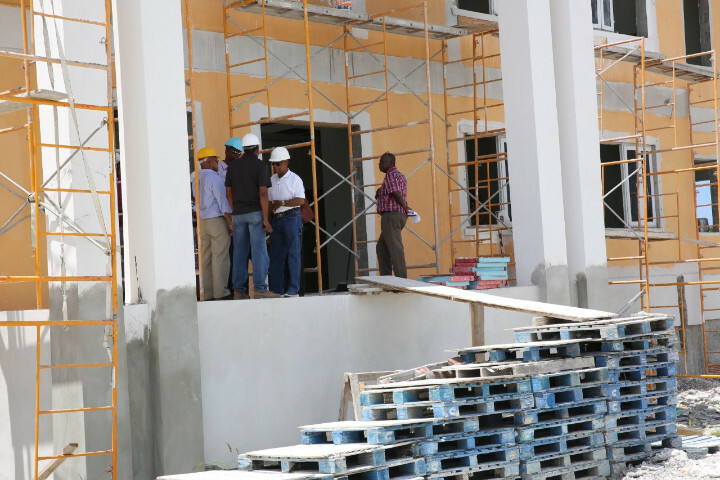 The Education Minister and his delegation, made up of the Permanent Secretary and other Ministry of Education officials, toured Holmes’ Rock Junior High school, which is still in the process of being completed, Bartlett Hill Primary, Eight Mile Rock High School, as well as Freeport Primary and Walter Parker Primary schools. Minister Lloyd took time out from the tour to meet with consultants and principals of the schools where repairs are still being carried out. 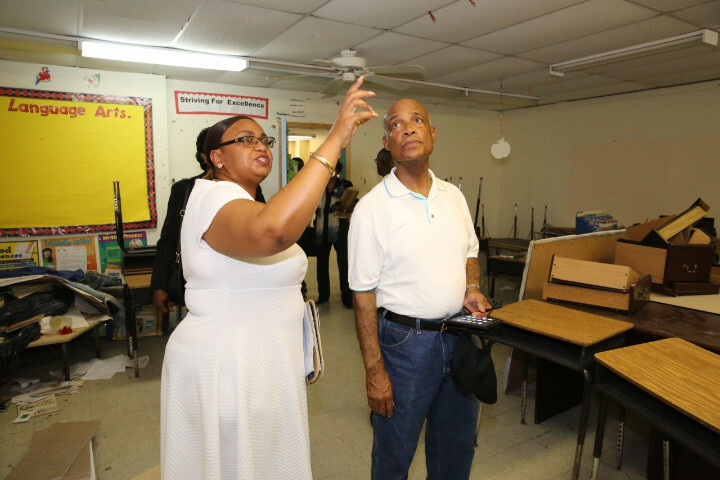 While he said he was happy to see that work was still being carried out on the schools in desperate need of repairs, the Minister said that he was not totally satisfied with the time frame for completion of the work. “The school in Holmes’ Rock is something the residents have been anxiously awaiting, and the fact is this school is needed in this community so that we can properly house the students of this community,” said Minister Lloyd, upon completion of the tour of the proposed new Holmes’ Rock school. The contractors estimate that the school should be completed by January of 2019. Ater leaving the Holmes’ Rock Junior High School, Minister Lloyd and his entourage drove to the Eight Mile Rock High School. There was a problem with persistent mold at the Eight Mile Rock High School, but the Ministry of Education had made it a priority to extensively deal with that situation. Minister Lloyd noted that concerns regarding the Eight Mile Rock High School should be something of the past because, as far as he knew, the “all-clear” was given, indicating that it was safe for students to occupy when the school year begins, and once all of the repairs were completed. “Those concerns should be no more, because we have been given an all-clear by the Department of Environmental Health and the Department of Public Health,” said Minister Lloyd. “We have requested an extensive review of that environment to ascertain precisely what the challenges were, if any, and they have done that. 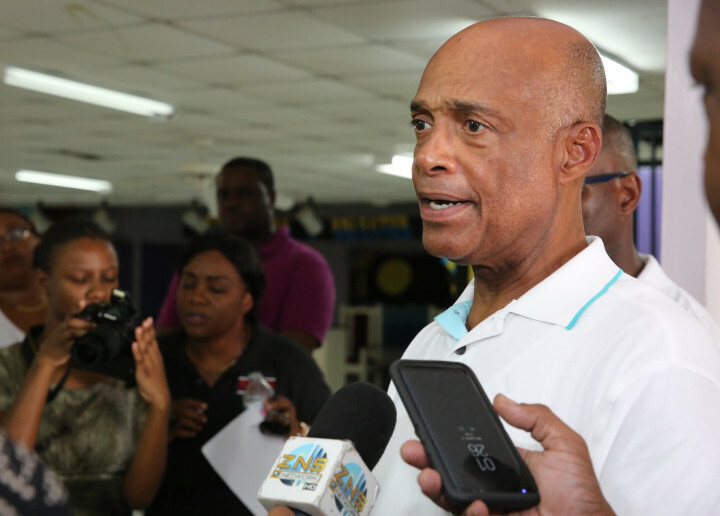 Although Bartlett Hill Primary was not on the official itinerary for the Minister and his delegation, Minister Lloyd requested a stop at the Primary School, which had been severely impacted by hurricane in 2016. While much work had been carried out on the school, there were still some repairs that needed to be made before school opens for the fall term. Minister Lloyd said it was an area of concern for his Ministry. “This school is 20 years or so past its shelf life and so everyone is trying to make do with it and patching it as they go long,” said Minister Lloyd. “But we are in need of major school replacements throughout the country.